Alright folks, this post rounds out my Milan fashion week coverage and up next is the holy grail of the month: Paris! What did you think of the Italian collections? 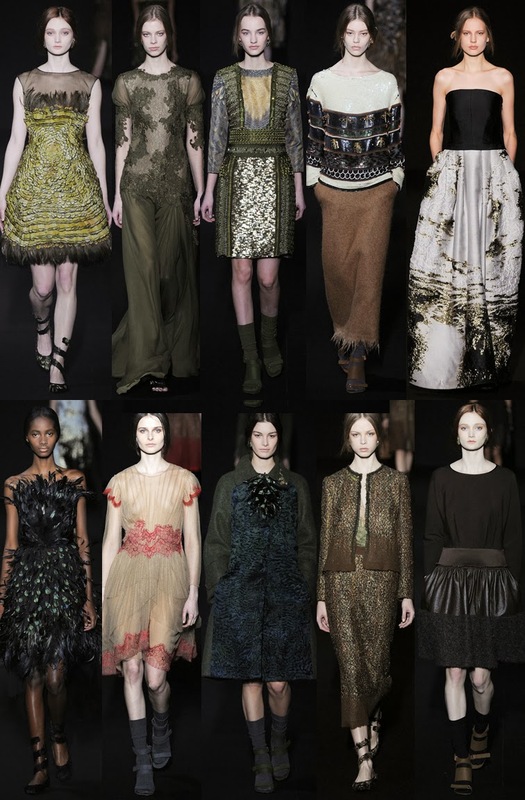 Do you have a favorite fashion week thus far? Do tell! Oh, and if you ever want to sift through the collections but want to go easy on the clicks, head over to my FW14 Pinterest board for the consolidated, full roundup. The woman had fairy tales on her mind, there is no mistaking that. It was as though she had taken a stroll through the forest and all of the little animals became animated and started singing to her. Some of it was a bit too literal for me, while most of it was quite enchanting indeed. Stefano and Domenico, too, had an enchanted forest on the brain, it would seem. 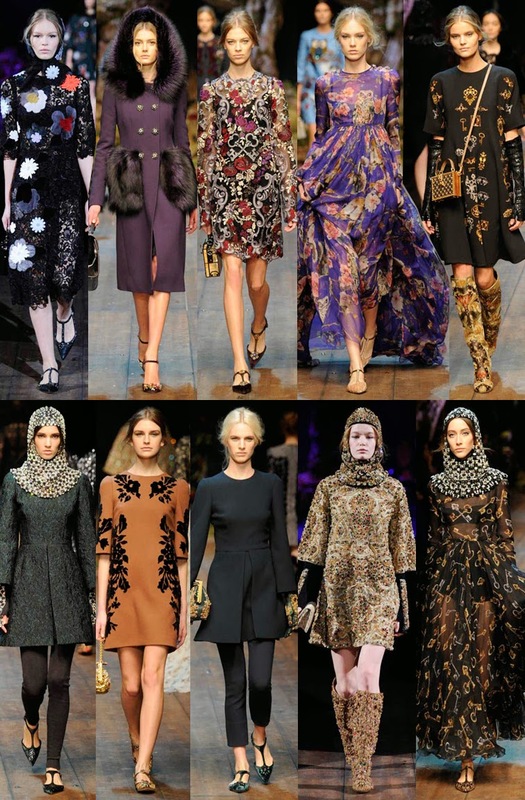 There was a lot of animal character patchwork, as well as fauna depicted on a number of looks. It had whimsicality and folklore appeal, but certain pieces looked a bit crafty, in my humble opinion. However, the theme was well-explored. Their more ornate looks rounded out the spellbinding factor and their floaty maxis gave it some lightness. A Dolce collection could never be devoid of sensuality and luxe, and there was still plenty of it for fall 2014, no matter how "innocent" the collection might have come off at first glance. Behold everybody: Marni's fall 2014 offerings were nothing short of a tour de force! The very distinctive Marni quirk injected throughout made for the ideal balance of fashion-forward, wearable and crafted to perfection in every which seam. There were unpredictable details, funky shapes, as well as interesting additions that encompassed that familiar line between the beautiful and the strange: Consuelo Castiglioni's specialty. What comes to mind when thinking about Max Mara is a beautifully tailored camel coat. Well, ladies and gents, no signs of that classic image for fall 2014, but there were plenty of beautiful outerwear options for the Max Mara devotee. 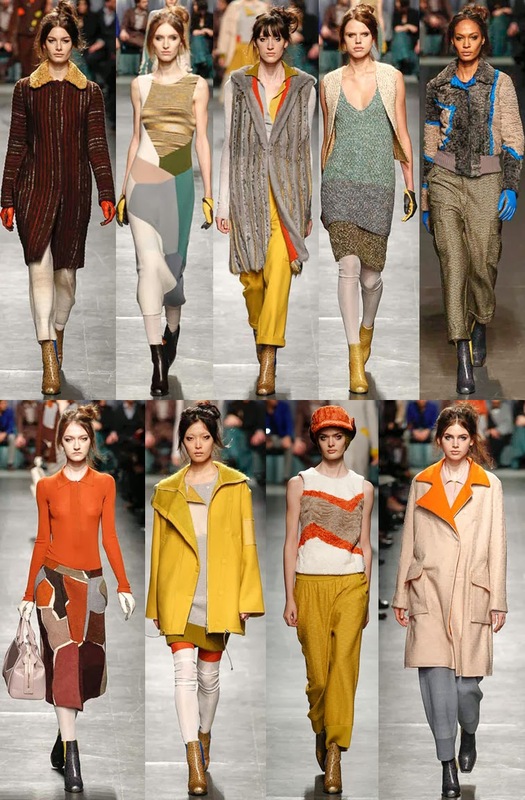 It is precisely for collections like these that I favor the fall season over spring in terms of fashion: the fabrics and shapes are simply impossible to compete with, it's just no fair. This time around, beautiful sharp tweeds were introduced, made incredibly modern thanks to cocooning shapes, oversized options and complimented by covetable gold flats. Bank account permitting, I'd be lining up out their door come fall. I'm not gonna sugar-coat this one: I was not particularly into Missoni this season. The collection did not resonate with me at all and it just lacked any sort of cool factor to me. Ever the optimist, I did find certain pieces to be somewhat compelling thanks to interesting layers and textures -- after all, I am a big knitwear fan. Some of Angela's outerwear was fun and I have to say I was a big fan of the shoes. I'm kind of a sucker for ostrich print. another fab post so great to hear what you think! I think Max Mara is my favourite tbh - I just love everything Max Mara and this is perfect!